If you are looking for scrub jackets, you have come to the right spot. 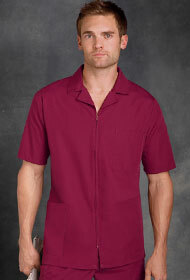 Pulse Uniform offers comfortable and durable medical scrub jackets. With our extensive selection, you can find the right kind of jacket you need. You can choose your medical jacket from numerous options of colors, sizes, and style, so your look will be uniquely yours! And with our discounted prices, you can find great deals without paying too much..
Pulse Uniform is the place to go for your hospital jackets needs. Our store proudly brings discount products under the trusted names of Adar, Barco, Dickies, Cherokee, Landau, Urbane, White Swan, and more. They come in beautifully cut cardigans, zipped, short-sleeved, three-fourth sleeved, button-front, and snap-front designs that are made outstanding by solid colors, unique prints, and functional features. If you need professional doctor jacket, especially designed lab jackets, simple nurse jackets, or comfortable warm up jackets, dig in for the best through our wide selection. 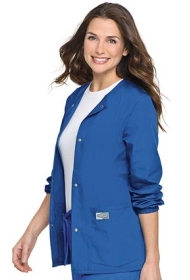 We have over 30 colors in sizes ranging from XS to 5XL, ensuring physicians, nurses, dentists, and all other healthcare professionals are provided with the exact hospital jackets they need. Not only do we offer fashionable, comfortable and well-fitted medical jackets - we make sure they fit our customers' budget. Save more with our low group order rate and $75+ order free shipping deal.